New Delhi: Reinvented toilet technologies can boost India’s aim to be open defecation free by next year by building 75 million toilets, according to a new report on importance of technology in global sanitation programme. The report titled “Tech disruption comes to global sanitation” by global consulting giant — Boston Consulting Group — highlights the latest innovations in global sanitation industry, how the industry has evolved over the years and what is the future outlook. “The ambitious Swachh Bharat campaign includes the goal of ending open defecation and building 75 million toilets by 2019. India is prioritising high-visibility sites (public and community toilets) and high-need areas (slum redevelopments and affordable housing) and is seeking premium or mid-segment apartment developers as suppliers,” the report said. 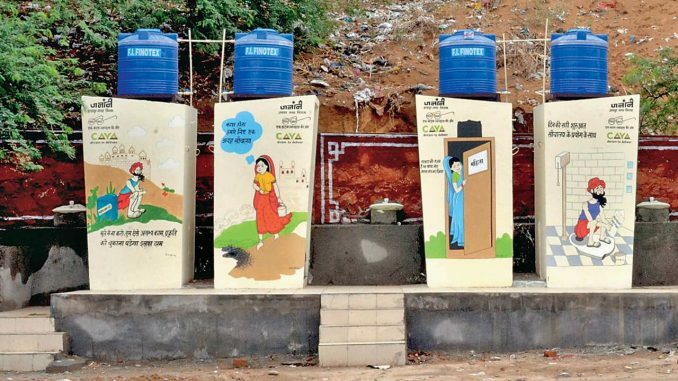 It said while traditional sanitation infrastructure will be used to help meet the country’s 2019 goal, the low-cost, modular formats, and potential for installation in off-grid and rural areas, make reinvented-toilet technologies particularly compelling in India. The report also pointed out the favourable policy environment for sanitation in China, India and the United States. “Across the world, recognition of the need to address the sanitation challenge is rising. In the process, favourable policies are emerging. The sustainable development goals provide an overarching global agenda. Meanwhile, countries are individually setting policy priorities and making significant investment decisions. “Three key markets China, India and the US illustrate the potential opportunity. And while the challenges they face vary, all three are prioritising both high- visibility sites and areas of high need,” the report said.